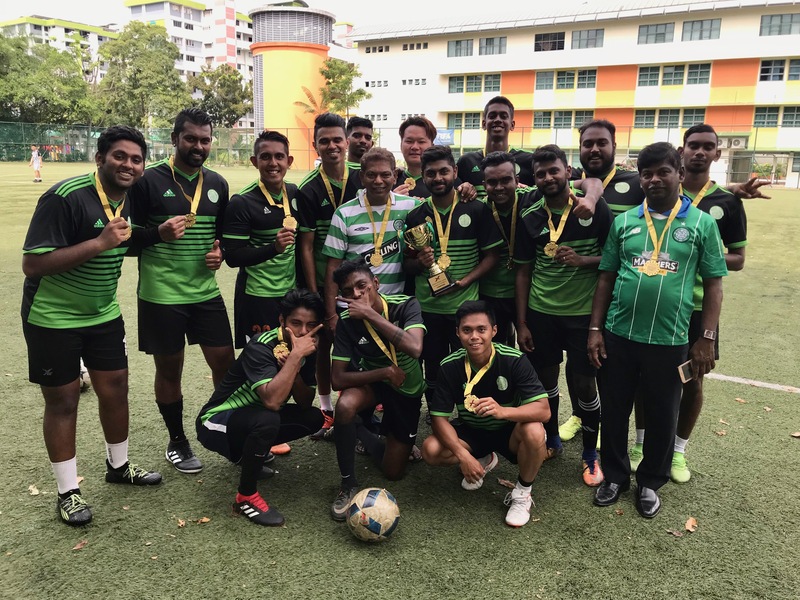 Seletar Celtic secured the Sunday Premier League Division 2 title last weekend when they beat Lionheart FC 6-0 at unity Secondary. This week the league Champions faced off against Le Vasta FC, who will end the season in 6th place regardless of the result of the match. What was left to play for? Pride. Contrary to what many predicted would be a whitewash, Le Vasta put on a commendable performance but unfortunately ended up losing the game 5-2. Karthik Raj (2), Ravi Shanker, Chris and Farhan were on target for the home side. 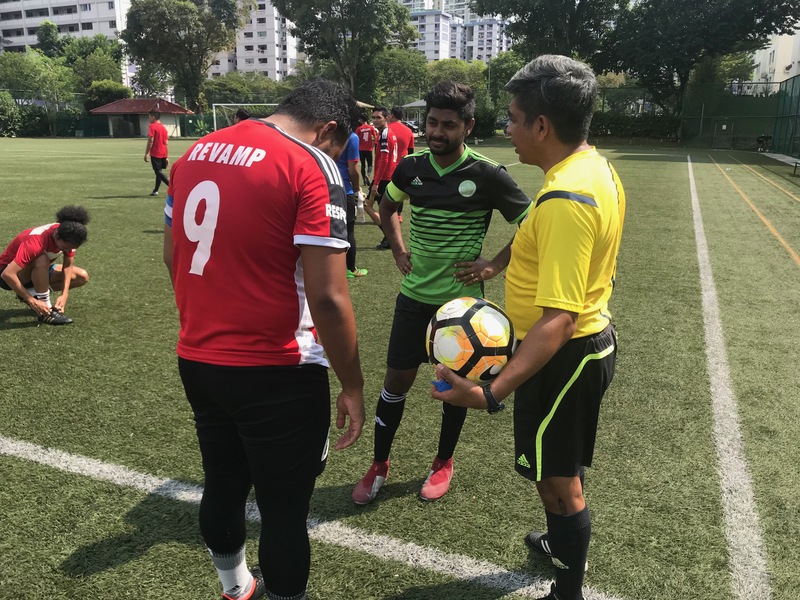 Coming into this game, Karthik Raj of Seletar Celtic was on 33 goals and had already broken the record for the Most goals Scored by an Individual player in Division 2 of the Sunday Premier League, a record set 6 years ago by Mohammad Hamdan of Height Rovers. With the two goals scored in this game, Karthik has now equalled the all-time X-League record of 35 goals scored in a league season which is jointly held by Aqi Ahmad Eunos of APMFC. Heartiest Congratulations Karthik from all of us at the X-League! That’s no easy feat. And so Seletar Celtic end the season with 39 points, 5 points clear of their closest rivals Forty4 FC. With the X-Cup 2019 looming, the Celtic Warriors would most certainly be one of the favourites to lift the coveted trophy. Can they be the first team from a lower Division to lift the Cup? Only time will tell. 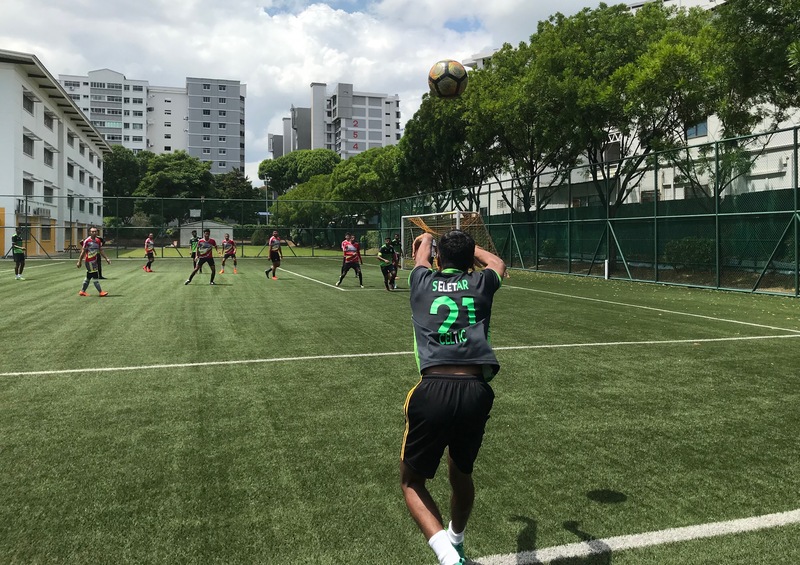 Following a 7-1 demolition of Sparta Cowboys in their last league tie, Seletar Celtic were looking to wrap up the Sunday Premier League Division 2 title this week with a game to spare. Their opponents Lionheart on the other hand, had the opportunity to finish in 6th place needing only a draw to achieve this. Everyone now and then you come across a player that defies the odds and scores a crazy number of goals in a league season. This time round we have Karthik Raj whose 5 goals in this game not only brought his goal tally up to 33 but also gave his side an emphatic 6-0 win over Lionheart FC. With the result, Seletar Celtic end the season as league Champions. The stage was set for Sparta Cowboys to pull off one of the upsets of the season and end their campaign with honors. Sitting in fourth place, a win would see them end their season with 30 points, two ahead of Southern Flowers in third spot. A draw would not be enough as Southern Flowers have a superior goal difference. Seletar Celtic on the other hand were looking to close the gap on league leaders Forty4 FC to within one point with a win. What ensued was a bloodbath worthy of a scene from the Hollywood film 300. A hat-trick by Man of the Match Karthik Raj coupled with praiseworthy efforts by S.Dinesh, Ravi Shanker, Rafiq Tajudin and Farhan saw the Celtic warriors murder the Cowboys 7-1 in a game which they dominated from start to finish. Seletar Celtic take on Lionheart next week. A draw would be enough for them to end the season as league Champions. Adi-Dogg ended their season on a high this week with an impressive 4-2 win over Southern Flowers at Unity Secondary. The win sees the away side end their league campaign on 24 points, three points behind Sparta Cowboys in fourth place. As for Southern Flowers, there was no fairy tale ending. The unexpected defeat now puts their league position in jeopardy with Sparta Cowboys taking on Seletar Celtic next week. Should the Cowboys win, they will finish in their place instead of them. League veterans Adi-Dogg came into this week needing a win badly. They were six points behind their opponents Sparta Cowboys and eight points behind Southern Flowers who sat in third place. So it was with great sadness that the X-League received a call on the morning of the match to hear that Adi-Dogg had insufficient players for their game and conceded a walk-over loss. These things happen in social football. One week you’re on a high and another you’re down and out due to unforeseen circumstances. Nevertheless, we hope to see Adi-Dogg finishing on a high in their final league game against Southern Flowers next week. 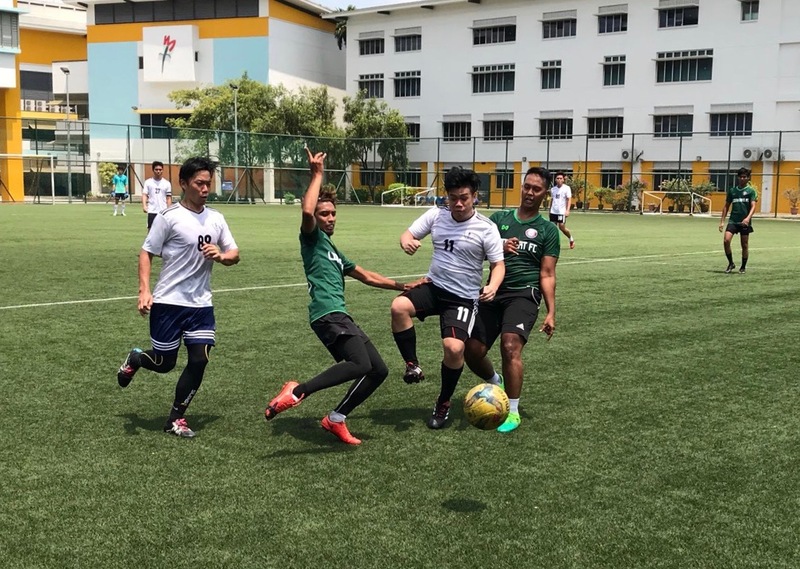 With Seletar Celtic not playing this weekend, the focus was on Forty4 FC as they played their final league game of the season against Southern Flowers in what promised to be an entertaining encounter. 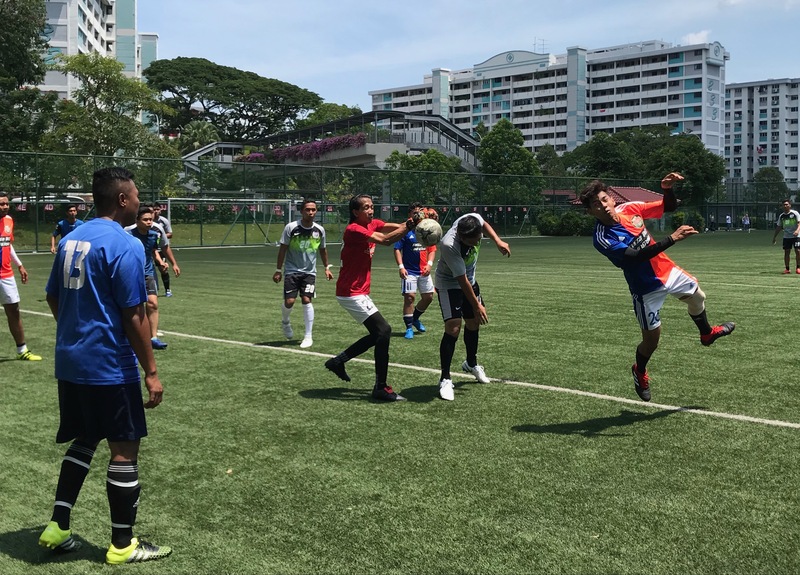 Forty4 came away worthy 4-2 winners and ended their league campaign strong on 37 points, four points ahead of Seletar Celtic who have three games in hand. To put things in perspective, Seletar Celtic would have to win and draw two of their final three remaining fixtures to emerge as champions. You never know, crazier things have happened in football. Having lost 4-1 to Sparta Cowboys in their previous encounter, Southern Flowers put on a praiseworthy display this time round to emerge victorious 2-1 at Unity Secondary. The win sees the away side leapfrog their opponents to regain third spot in the league standings. Also at unity Secondary, league veterans Adi-Dogg and Lionheart battled to a 10 goal thriller with Lionheart coming away 6-4 winners. This was a must win game for Adi-Dogg if they had any ambition of finishing in the top three. Le Vasta were over the moon last week when they beat league leaders Seletar Celtic 3-2 at Anderson Secondary. In fact, many wouldn’t have bet against them pulling off a repeat performance against Forty 4 FC coming into this clash. However, there was no “Out of this World” tale this week as the away side was humbled 3-0 by a disciplined Forty4 FC who moved into first place with the win. Seletar Celtic have a couple of games in hand and only time will tell if Forty4 Fc’s slender one-point lead will hold. Le Vasta are on a roll. Following their 2-2 draw against Sparta Cowboys last weekend, the home side pulled off a stunning upset at Anderson Secondary this week to hand league leaders, Seletar Celtic, their second loss of the season. The win also sees Le Vasta move to within a point of Adi-Dogg who are in 5th place. 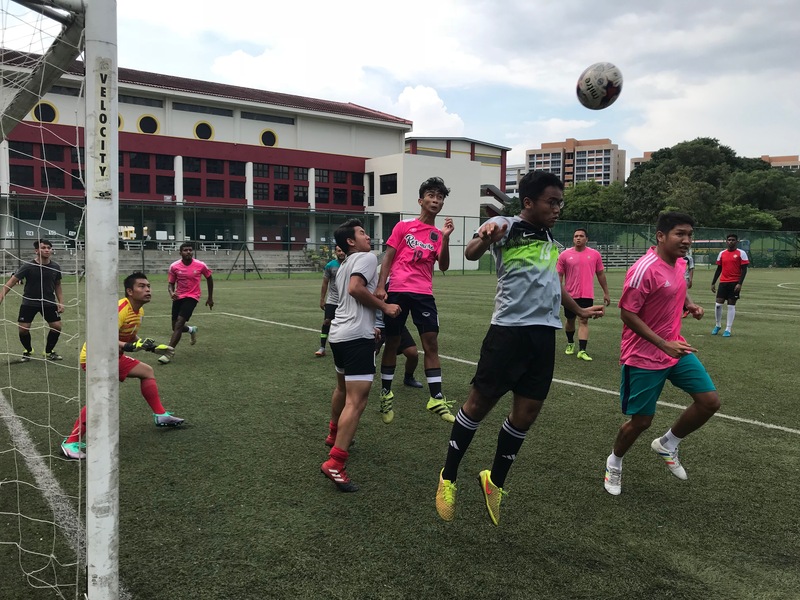 Over at Ang Mo Kio Secondary, Sparta Cowboys scored a crucial 4-1 win over Southern Flowers to leapfrog their opponents in the league rankings. Coming into this week, Sparta Cowboys sat in third spot in the league standings, three behind Southern Flowers. Thus, the game against Le Vasta this week was of upmost importance if the Cowboys had hopes of finishing with honors this season. But those were dashed when they were held 2-2 by a resilient Le Vasta side that were hell bound on getting a result in this feisty clash. A controversial penalty and a red card marred what was an evenly contested battle. Here’s what the Cowboys had to say after the game, “We knew what Le Vasta was capable of coming into this tie. A win would have had us knocking on the top three, but it was not meant to be. Nevertheless, looking forward to the next match. Good game Le Vasta”. Valientes Bomberos and Lionheart battled it out in a relegation dog fight this week with both teams facing the drop should there be a third division next season. According to X-League rules, the bottom three teams from each division face the drop while the top three gain promotion to a higher division. Lionheart emerged victorious in this contest beating Valientes 3-2 in an evenly contested match, which neither side deserved to lose. The result means that Lionheart move up to 13 points, two points from Le Vasta who sit in 7th position. It’s week 19 and Valientes Bomberos have only managed 6 points thus far this season. So it was to everyone’s surprise when they drew 3-3 this week against hot favorites Adi-Dogg at Anderson Secondary. A result which saw them move up to eight spot. Adi-Dogg however, badly needed to win this tie to press on for honors and the draw meant that they move down to fifth place, two points behind Southern Flowers and Sparta Cowboys. 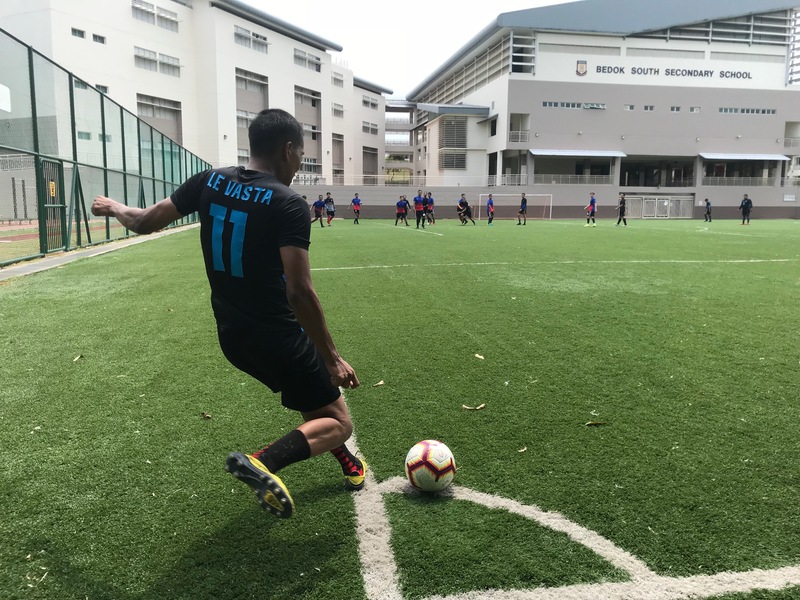 Over at Ang Mo Kio Secondary, Sparta Cowboys continued firing on target with Le Vasta FC being their latest victims. The Cowboys came away 6-2 winners which fired them into fourth spot. Week 18: Bang! Bang! Cowboys run rampant! What do you do when you lose 7-2? You win 7-2 the following week, that’s what you do. Sparta Cowboys are that team and their victims this week were Lionheart FC. The location, Anderson Secondary. The outcome, battling for honors, tied on points with Adi-Dogg in the league standings. In other news, Forty4 FC edged Valientes Bomberos 3-2 in a closely fought encounter. The result sees Forty4 FC move to within a point of league leaders Lionheart FC. League leaders Celetar Celtic showed no signs of slipping up this week when they beat Adi-Dogg 9-3 at Mayflower Secondary thanks to the Ashwin Raj and Karthik Pillai show. Both players scored hat-tricks in this tie together with two goals from Oswind Rosayro. Three names to bear in mind for their upcoming opponents. Also at Mayflower Secondary, Southern Flowers cruised to a 2-0 win over Valientes Bomberos, a result that sees them move up to third place in the league standings. 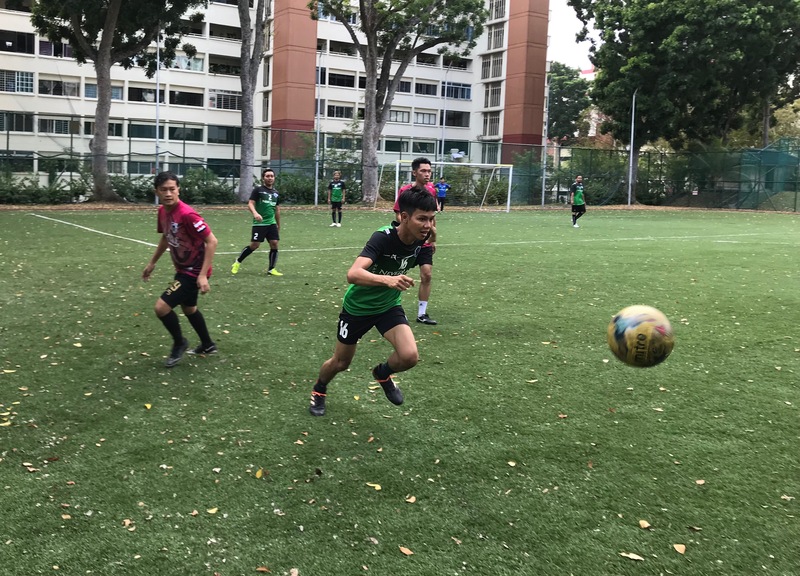 Over at Bedok South Secondary, Forty4 FC bounced back from their defeat last week with an impressive 7-2 win over 5th place Sparta Cowboys. 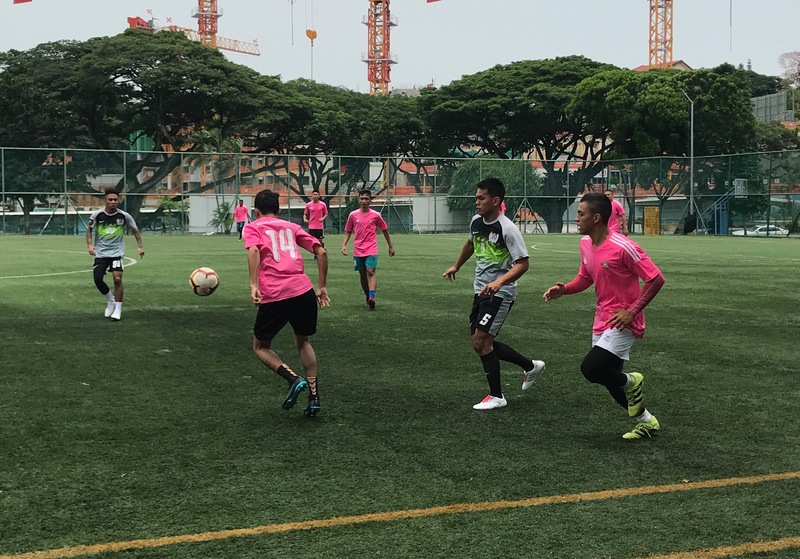 The Clash of the Titans took place this week with league leaders Seletar Celtic taking on Forty4 FC who are second in the standings. Two goals from leading goal-scorer and Man of the Match, Karthik Raj coupled with two goals by Abdul Kareem saw Seletar Celtic walk away with a crucial 4-2. The result means that Seletar Celtic now move up to 30 points, 8 clear of their closest rivals. 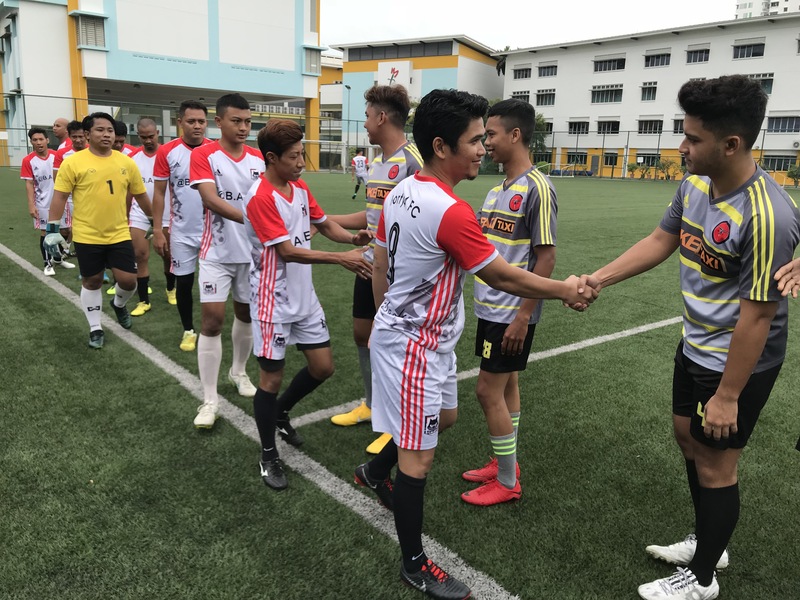 Over at Unity Secondary, Adi-Dogg and Southern Flowers played to a 1-1 draw while Sparta Cowboys left Bedok View Secondary 6-4 winners against Valientes Bomberos. 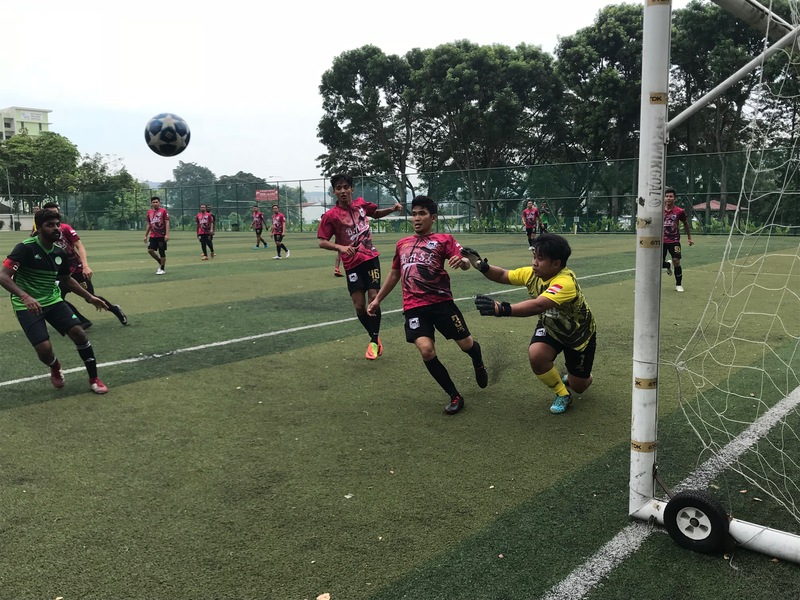 After beating league leaders, Seletar Celtic in their previous league game, Southern Flowers lived up to the billing this week when they brushed aside Le Vasta FC 7-2 in a one-sided affair at Mayflower Secondary. The win sees the home side equal on points with Adi-Dogg who sit in third place in the league standings. Over at Regent Secondary, Forty4 FC bounced back from their shock 7-2 loss to Adi-Dogg last week with an impressive 4-1 win over Lionheart FC. The win sees them close the gap on league leaders, Seletar Celtic to within two points. Week 14: Who let the "Doggs" Out? 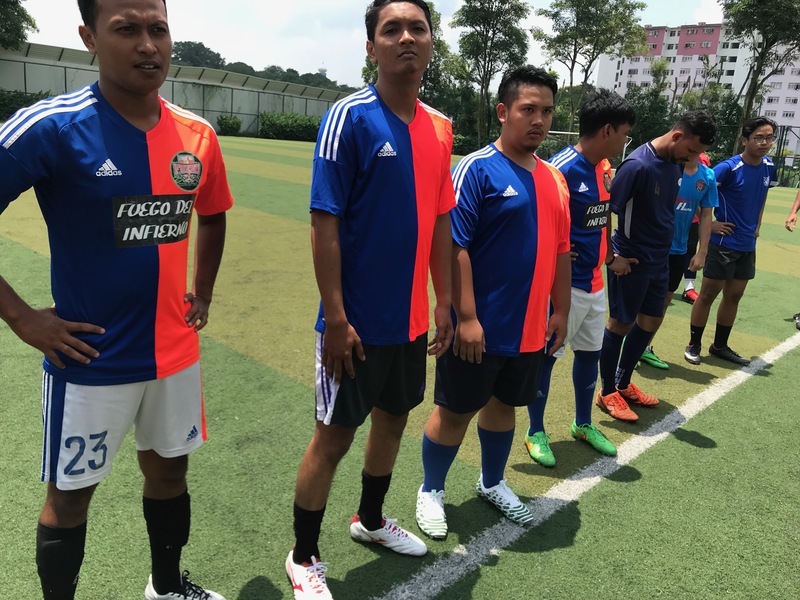 Forty4 FC came into this week trailing by two points to league leaders Seletar Celtic thus a win over Adi-Dogg was crucial in maintaining the pressure in their quest for the title. Third placed Adi-Dogg however were having none of it and shockingly mauled the home side 7-2. The win sees Adi-Dogg maintain third place with 18 points, now only 4 points behind Forty4 FC. Karthik Raj is staking his claim for the top scorer award this season after he bagged six goals, yes six goals in his side’s 9-1 win over bottom placed, Vailantes Bomberos. Here’s what the home side had to say after the game, “We heard that Forty4 FC slipped up just after our game ended thus this turned out to be a crucial win for us. We just need to keep focus and take one game at a time”. Le Vasta moved up to 5th place in the league standings this week when they beat Valientes Bomberos 4-1 at Ping Yi Secondary. The score-line however did not reflect the true nature of the game which was a lot more even than anticipated. Despite the loss, here’s what Valientes had to say after the game, “We may be at the bottom of the table but a win next week could see us move up to 7th spot. We are a newly formed side and we’re taking this season as an opportunity to gel as a team. Kudos to Le Vasta on the win”. Seletar Celtic were awarded a 3-0 walk-over win against En Fuego CF for a No Show. 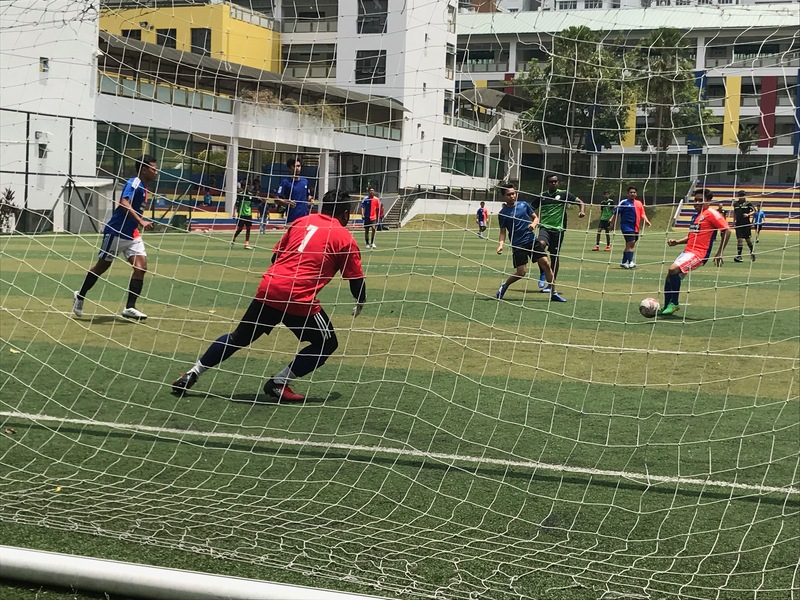 Only one X-league match was played in Division Two of the Sunday Premier League this week with the bottom two sides taking each other on at Marsiling Secondary School. Having lost 8-2 in their previous encounter Valientes Bomberos fared better this time round losing 4-2. Man of the Match Muhammad Syukri was on target for the home side together with Abdul Qayyum Aka Alem Sanz, Izwan aka Pally and Bahktiar Mohamed aka Bartz. 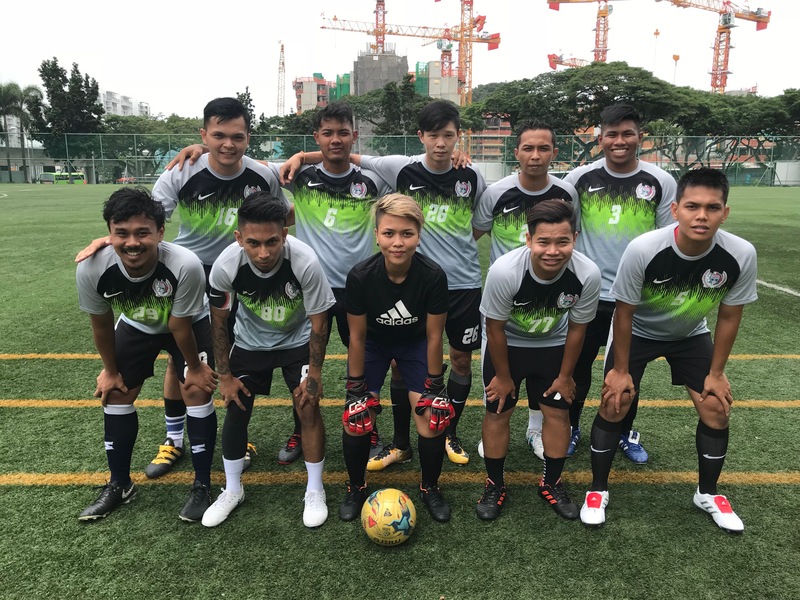 League leaders Seletar Celtic were given a rude awakening this week when their seven game win streak came to screeching halt thanks to a stellar performance by Southern Flowers. The home side, who are third in the league standings, won 3-2 in what can only be described as an action packed game from start to finish. Second placed, Forty4 FC were quick to take advantage of Seletar’s loss beating Le Vasta 4-3 at Spectra Secondary, thanks to goals from Man of the Match Amirul Raimi, Asmaan Jamal aka Mika, Muhamad Saiful aka Epul white and Yazid Kubo. 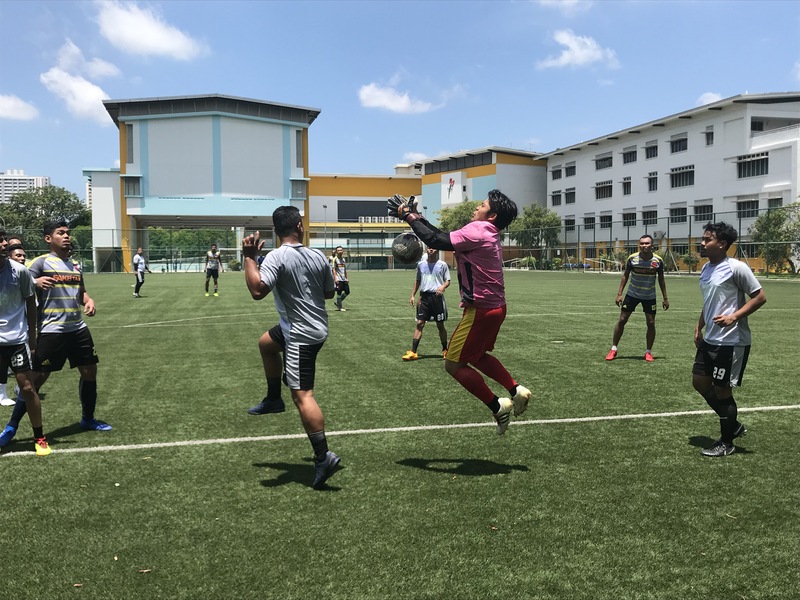 Over at Marsiling Secondary, Valientes Bomberos picked up their second win of the season beating Lionheart FC 1-0 in the process. The win sees them leapfrog En Fuego in the league standings into 8th spot. Adi Dogg were awarded a 3-0 walk-over win against En Fuego for a No Show. 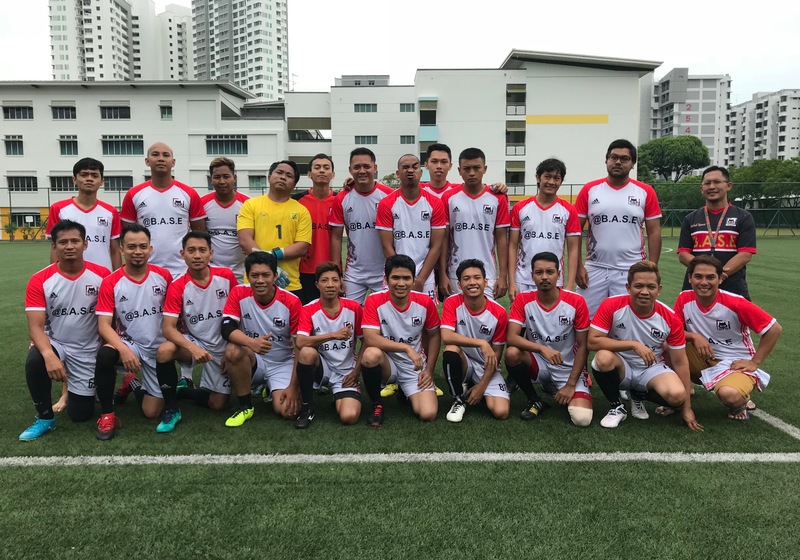 Valientes Bomberos scored their first win of the season this week with a hard fought 3-2 win over Le Vasta FC at Bedok South Secondary. The result came as a shock to the neutrals especially after the home side beat Adi-Dogg in the previous week. 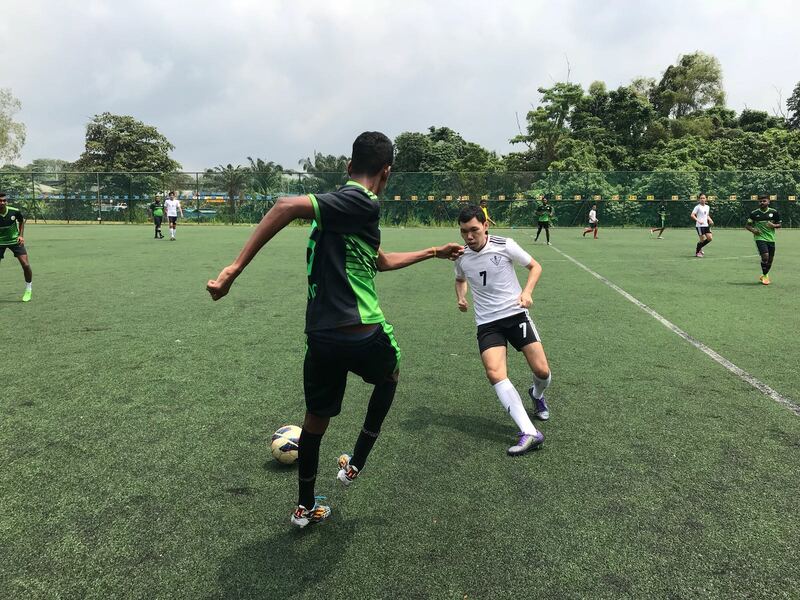 Goals from Oswind Rosayro and S.Dinesh saw Seletar Celtic pick up yet another win in their league campaign when they narrowly edged potential title contenders, Sparta Cowboys 2-1 at Woodgrove Secondary. 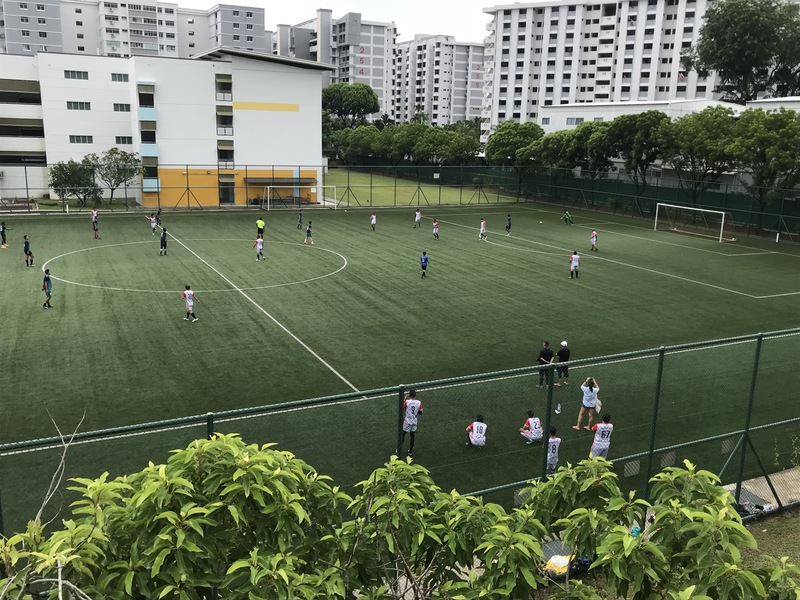 Over at Woodlands Secondary, Lionheart FC and Adi-Dogg played to a nerve wrecking 2-2 draw in a game which could have gone either way. X-League veterans Adi-Dogg and Sparta Cowboys squared off this week at Anderson Secondary and the match didn’t fail to live up to expectations. In what can only be described as a feisty affair, both teams played to a pulsating 3-3 draw in a game which could have gone either way. 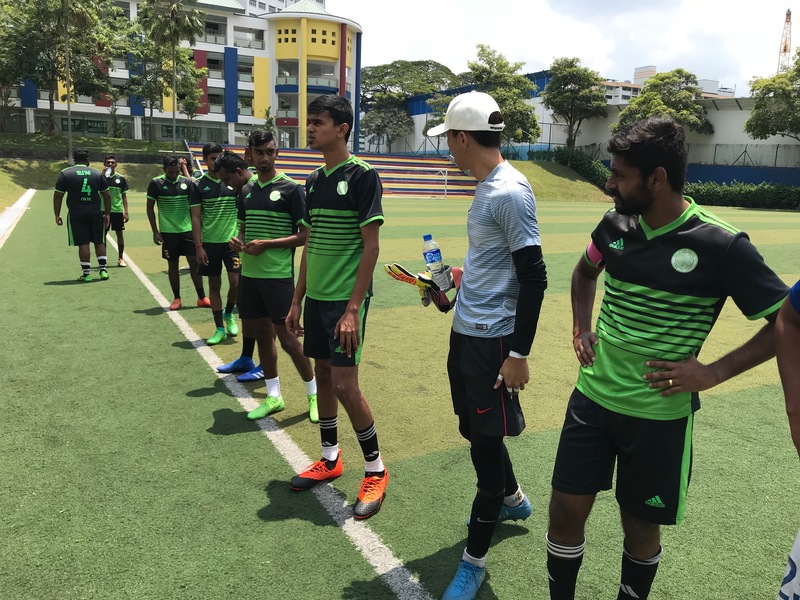 Karthik Raj was once again the man of the moment this week as Seletar Celtic kept the pressure on league leaders Forty4 FC with an impressive 8-1 win over En Fuego. Over at Mayflower Secondary, Forty4 FC scored an impressive 5-2 win over Southern Flowers thanks to four goals from Man of the Match, Amirul Raimi. Le Vasta made it two wins in two weeks beating Lionheart FC 6-3 thanks to a hat-trick by Fendi Elias. The win sees them tied on 6 points with Sparta Cowboys and Lionheart FC. Le vasta bounced back from their loss to Southern Flowers last week with a crucial 2-1 win over an in-form Adi-Dogg side that haven’t lost in their last three matches. Special mention for Man of the Match Is Hazwan aka Awan, who scored both goals for his side. A hat-trick by Karthik Raj saw Seletar Celtic beat league leaders Forty4 FC 5-1 at Marsiling Secondary. The win sees the away side move to within a point of top spot. At the bottom of the table, Man of the Match Muhammad Syukri aka Syuqri helped his side to their first win of the season scoring four goals in En Fuego’s 8-2 win over Valientes Bomberos. Also at Mayflower Secondary, Sparta Cowboys beat Lionheart FC 5-2 thanks to a hat-trick by star player, Hanafie. Southern Flowers made it back to back wins this week beating Le Vasta FC 5-3 at Anderson Secondary. The win sees them tied on points with Seletar Celtic in second place. 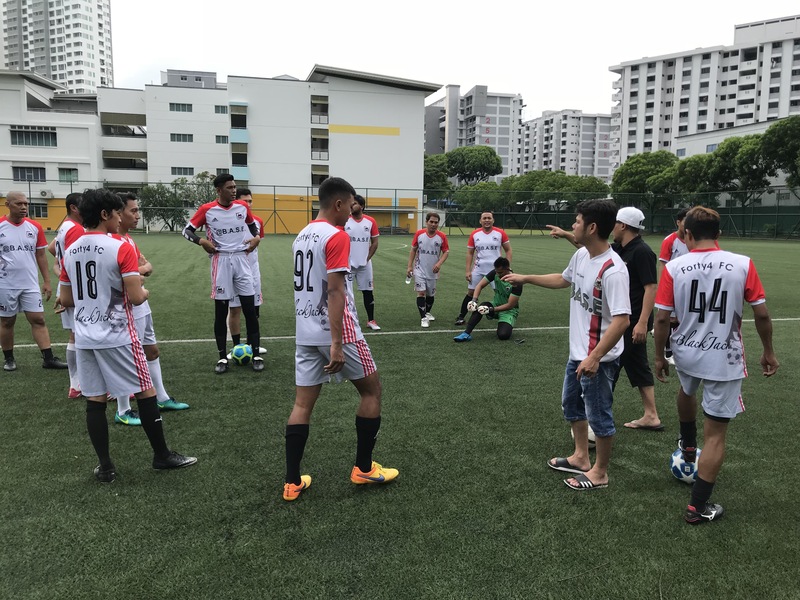 At Bedok View Secondary, goals from Lex Cullen, Muhammad Sulaiman and Kamal Asyraf saw Adi-Dogg ease past Valientes Bomberos in an impressive 3-0 win. 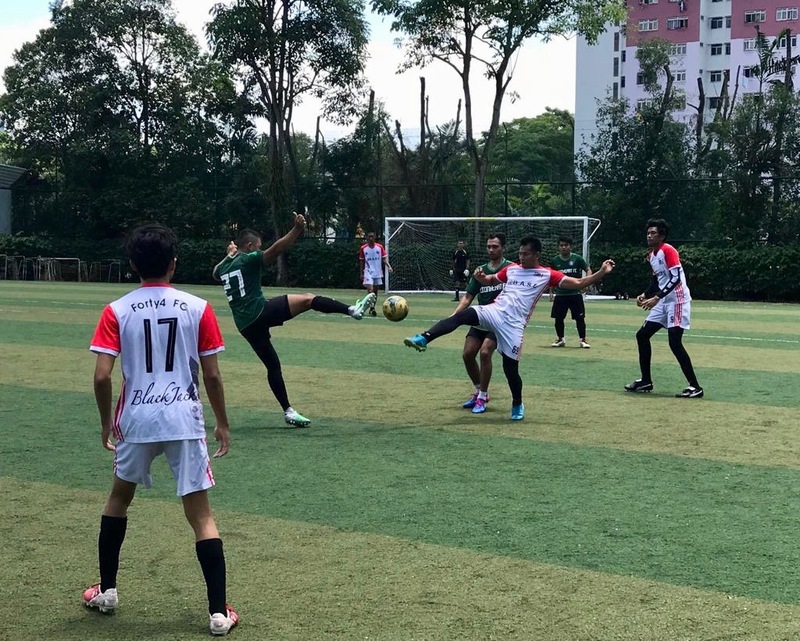 The biggest win of the week however, belonged to red hot Forty4 FC who thanks to Man of the Match Adam Zulkifli, saw them beat En Fuego FC 8-3 at Mayflower Secondary. Forty4 FC’s 100% win record came to a screeching halt this week when they were held 4-4 by Adi-Dogg at Mayflower Secondary. The teams placed first and third respectively in the league standings lived up to their billings in a tie which neither side deserved to lose. Over at Anderson Secondary, Valientes Bomberos suffered their fourth successive defeat when they were beaten 6-1 by Southern Flowers who were celebrating their third successive victory. The win sees Southern Flowers move up to third in the league standings. In the third fixture for the week, Seletar Celtic maintained their 100% thanks to a Man of the Match performance by Sasitharan Krishnamurthy in their 6-2 win over Lionheart FC. Both Seletar Celtic and Forty4 FC maintained their 100% win records this week with 9-2 and 6-1 wins respectively. Man of the Match Amirul Raimi, scored a four goals in Forty4’s 6-1 win over Sparta Cowboys at Mayflower Secondary while goals from Karthik (3) Abdul Kareem (2), Ravi (2), Aswin Pillai and S. Dinesh saw Seletar Celtic ease to a 9-2 win over Valientes Bomberos. Week 4: Forty4 FC are on fire! 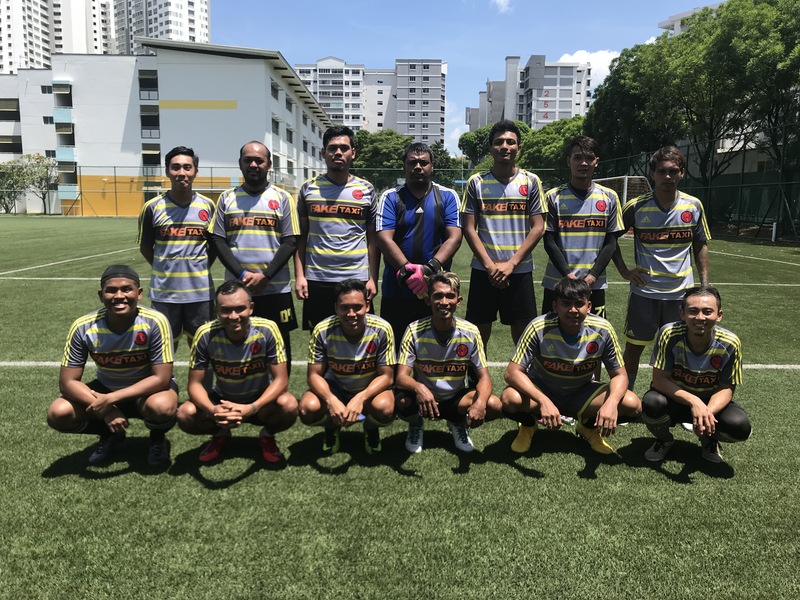 Following 8-0 and 7-2 victories, Forty4 FC continued their fiery form this week with Lionheart FC their latest victims at Marsiling Secondary in a 6-2 drubbing. Man of the Match Yazid kubo found the back of the net together with teammates, Firdaus Anil (2), Muhamad Saiful (2) and Parizal Bakar. 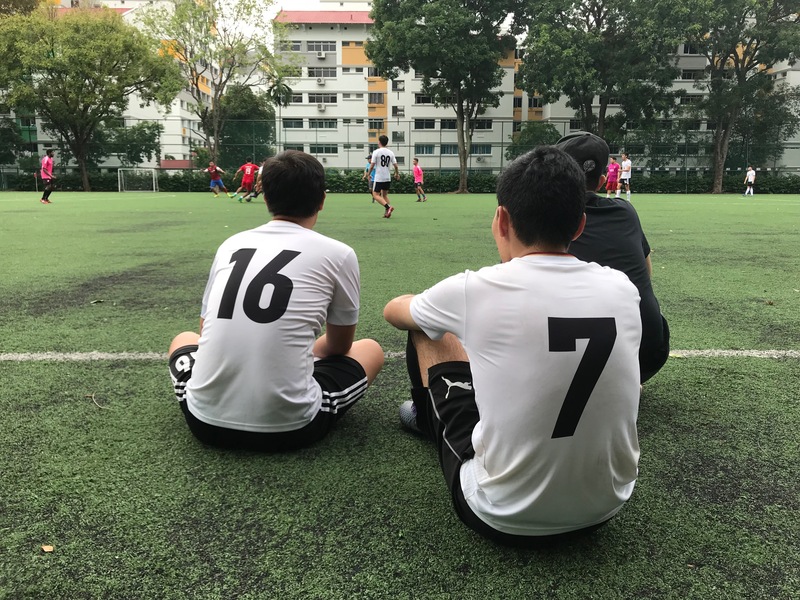 Over at Naval Base Secondary, at hat-trick by Kamal Asyraf saw Adi-Dogg bounce back from their 5-1 loss to Seletar Celtic to beat En Fuego CF 7-2. In the third fixture for the week, Valientes Bomberos FC a second defeat in as many games when they lost 4-1 to Sparta Cowboys. The win sees the Cowboys move up to fifth in the league standings. 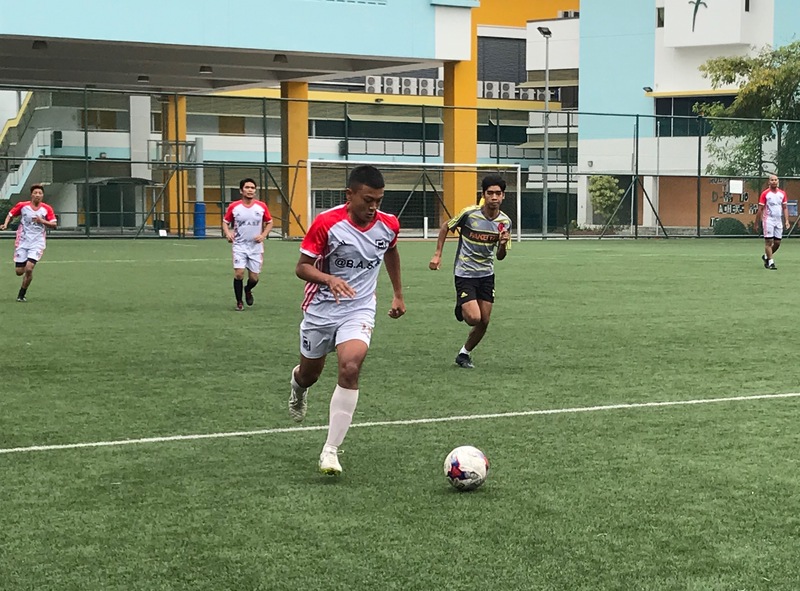 It was goals galore this week as Lionheart put on a performance worthy of their name when they beat Le Vasta 5-3 in a feisty affair at Sembawang Secondary. Later that day, at the Marsiling Secondary, Southern Flowers beat En Fuego 3-2 in a game which neither side deserved to lose. 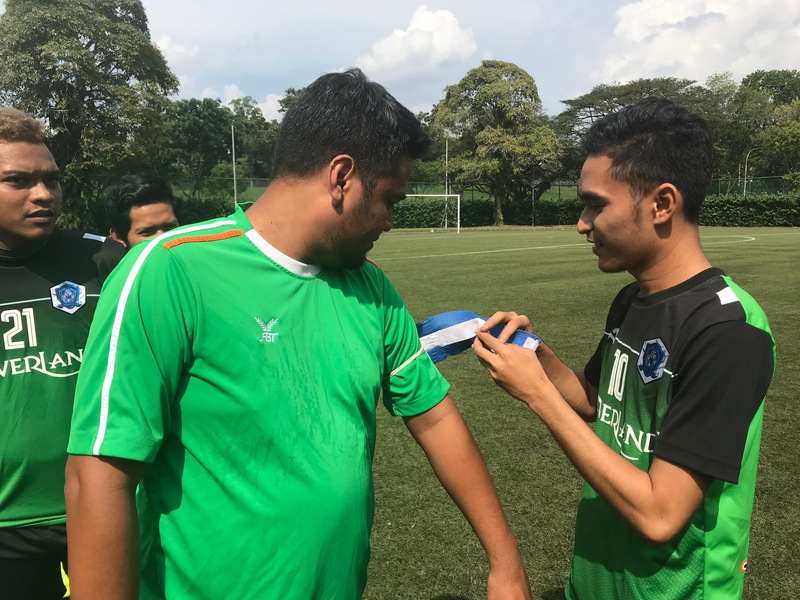 In the third fixture this week, 5 goals from Man of the Match Amirul Raimi coupled with two goals from Firdaus Anil saw Forty4 FC make it two wins in two games when they beat Valientes Bomberos 7-2. 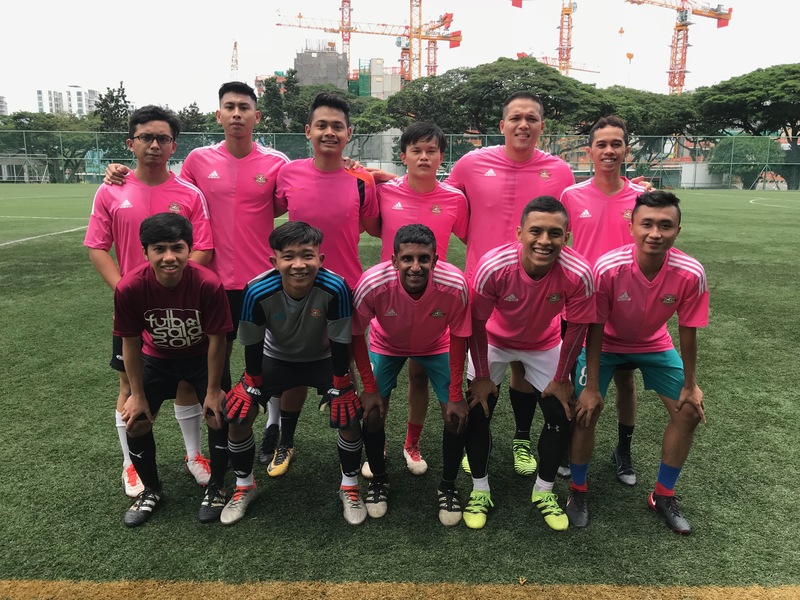 Following a 3-0 loss in their opening fixture, Southern Flowers bounced back this week to beat Lionheart FC 6-0 at Mayflower Secondary thanks to a hat-trick by Man of the Match, Kelvin Ng. 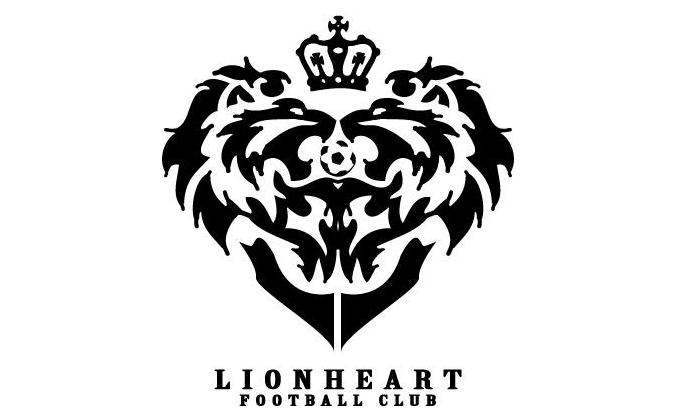 Here’s what they had to say after the game, “Lionheart put up a strong fight against us but the Flower Boys did not give our opponents much opportunities at goal. A wonderful afternoon for our speed demon Kelvin Ng who secured our victory with a very own hat-trick of his own”. 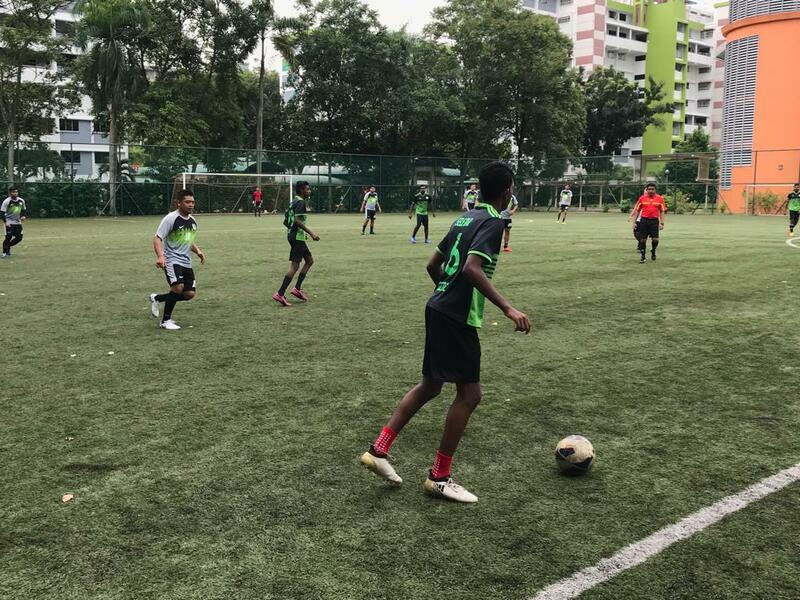 Over at Regent Secondary, Seletar Celtic made it two wins in two matches when they beat Adi-Dogg 5-1 thanks to fine efforts by S.Dinesh (2), Rafiq Tajudin and Naqiuddin aka Q. Special mention for Man of the Match, Aswin Pillai who put in a stellar performance to lead his side to victory. coupled with fine efforts from Asmaan Jamal (2), Adam Zulkifli, Yazid Kubo, Parizal Bakar and Muhammad Ridhuan saw he home side dominate the game from start to finish. 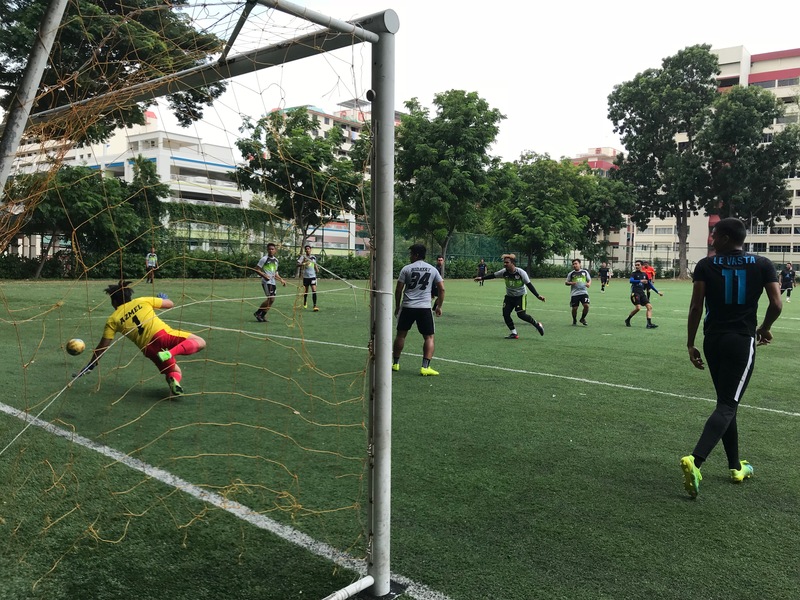 The Second game at Naval Base Secondary saw league favourites Seletar Celtic come away 3-0 winners in their tie against Southern Flowers. Here’s what their opponents had to say after the game, “Seletar Celtic put up a strong performance against us. We were unable to exploit the opponent’s 10-men disadvantage and couldn’t get the result we wanted. We look forward to the return leg”. Over at Regent Secondary, two goals from Awan Azhar were not enough from stopping Le Vasta to slipping to a 4-2 loss against Adi-Dogg.